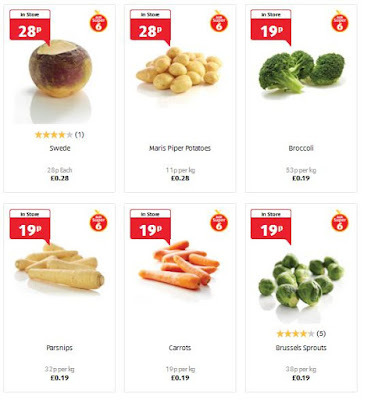 The Vegan Magpie: Aldi veg offer! This offer is available from today (20th) until the 31st December. Good for New Year too then! There is different veg available that may suit you better than Tesco, plus you may be a regular shopper of Aldi so this offer will help more! Plus saving lots of 10 pences builds up!